To mark the World Sibling Day, ‘Kedarnath’ actress Sara Ali Khan shared a few pictures with her kid brother Ibrahim Ali Khan. The sassy actress even called him the best brother in the world. Apart from their recent pictures, Sara had even posted a major throwback picture with Ibrahim. And it was cuteness personified. However, the actress was trolled by the netizens for not wishing her step-brother Taimur Ali Khan. Kareena Kapoor and Saif Ali Khan‘s toddler son Taimur is hands down one of the most followed star kid in B-town. Just to catch a glimpse of him, the paparazzi are always on their toes. It won’t be wrong to say that Taimur is the national Baby crush. Sara and Ibrahim share a great relationship with their step-mother Kareena. They even adore their kid brother Tim. We are pretty sure that Sara must not have seen this coming. 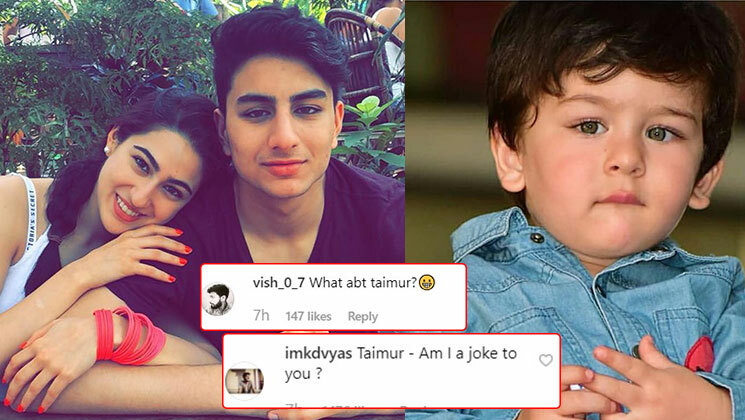 And Taimur is so young, he would have anyways not checked the message of Sara! We wonder why the netizens have so much problem with anything and everything under the sun.